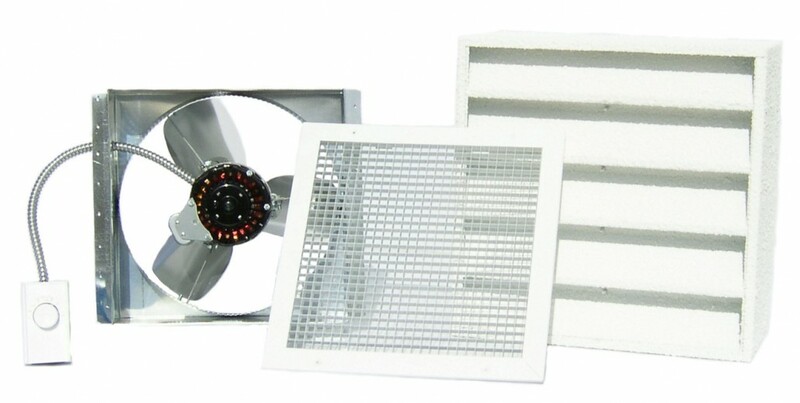 QuietCool Energy Saver Fans are the standard bearer of all garage fans. First of all, they are the most efficient fans on the market today blowing up to 30 CFM/Watt! If you have a stuffy garage then you need one of these fans. Find out which garage fan is best for you below! The GA ES-1500 is the standard for all garage/attic fans on the market today. Additionally, you can cool both your garage and attic with one fan, as the GA ES-1500 blows 1,452 CFM while drawing just 46.8 watts. You won’t find a garage/attic fan with lower energy use anywhere in the world today. A 2-hour fire-rated “bear-trap” damper maintains the integrity of the fire wall in your garage ceiling. 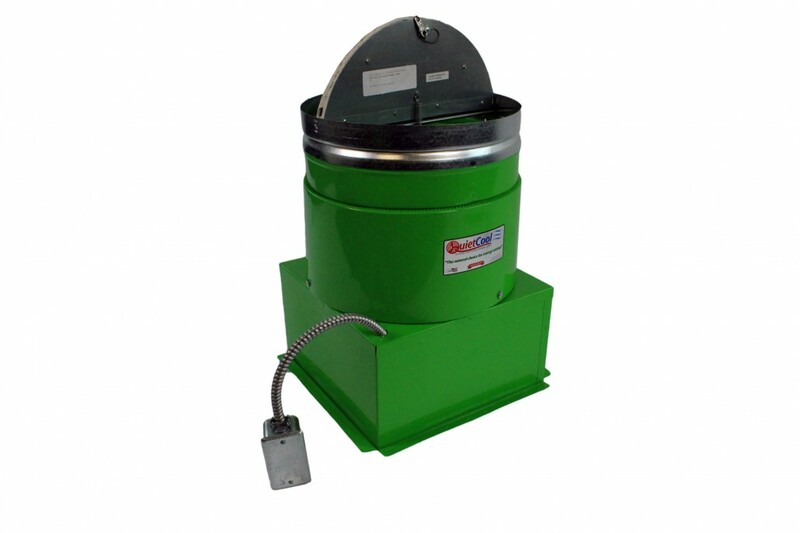 GA ES-1500 DLX is a Deluxe model which includes a Thermostat and the Ceiling Damper Grill. The GX ES-1100 wall mounted garage fan is perfect for garages without an above attic space. Moving 1,103 CFM at just 69 watts of power, the GX ES-1100 will fully vent a 3-car garage in just minutes and fully exchange the garage air volume 22-25 times per hour. Beautiful!